Did you know that YOU, as a homeowner, have a responsibility with maintaining the sewer system? 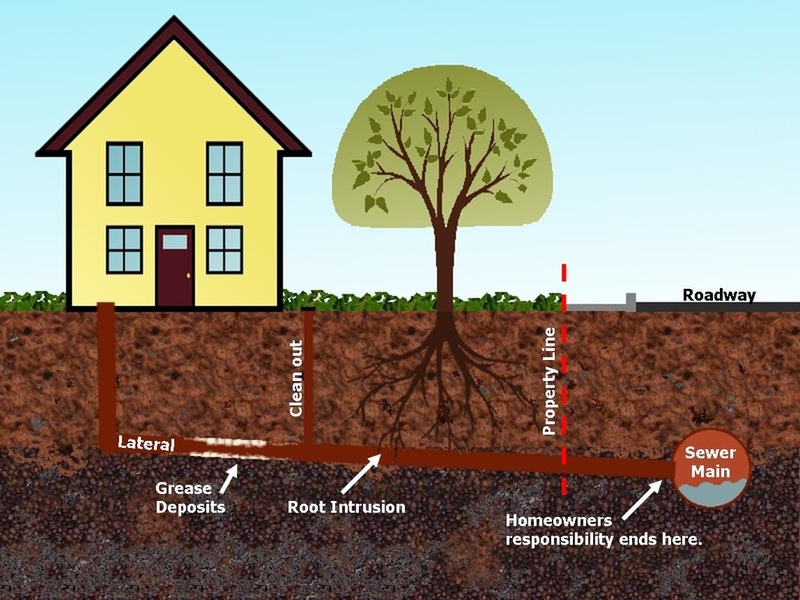 Homeowners are required to maintain the lateral from their home, to the main sewer line, typically located in the street, or nearby easement. Maintaining the lateral includes keeping the lateral line flowing and free of debris such as roots, or grease. The sewer system is comprised of a series of underground pipes. Many are publicly owned; however, the sewer laterals are entirely owned by the private property owner they serve. The laterals extend from the building to the mainline within the street (or within an easement at the rear of your home). The laterals typically range from four to six inches in diameter while the District’s mainline is typically at least eight inches in diameter. The private property owner is responsible for the entire length of the lateral, which includes that portion that may be located within the public right of way (under the asphalt and street landscaping). Maintain your lateral through proper cleaning, repair, and replacement. Do not place improper items into the sewer or make improper connections to the sewer. Install a cleanout in your sewer lateral. Taking these simple steps can help keep the flow going and prevent costly overflows and damage.